Hopefully followers of this column are not too disappointed about the Djokovic/Williams double not coming up in the Australian Open, because with a bit of luck, you should also have a few quid on Wawrinka @ 66/1 to win. He’s just 1 game away from that title and is sitting as a 10/3 shot as he waits to find out who his opponent will be. Regardless whether it’s Nadal or Federer, we can lay off some money to ensure a decent profit and still have a decent payday if he finishes the job. Fingers crossed for us on that one. This weekend, 32 teams turn their attention away from the league and onto the oldest football competition in the world, The Budweiser FA Cup. Of the 32 teams left, 13 Premiership clubs managed to get through the 3rd round banana skin and 11 of them were rewarded with 4th round ties against teams lower down the league ladder. Stoke can count themselves unlucky to be drawn away to Chelsea. On the opposite end of the scale, Kidderminster Harriers are the only non-league club to make it through to the 4th round and face a difficult trip to Sunderland. There are not people that will give them a chance of upsetting a Sunderland side who only last night booked their place in the League Cup final after a semi-final victory over Manchester United. Manchester City are home to Watford, but the 1/10 odds on a Man City win doesn’t do anything for us. Let’s look at them to score 4+ goals @ 6/5 with Coral. City have won 12 of their last 13 games and are unbeaten in the last 18 games. They have scored 15 goals in their last 3 home games, and so far at home this season, they have scored 4 goals against Newcastle, Man Utd, Cardiff; 5 goals against Wigan, CSKA Moscow and Blackburn; 6 goals against Spurs, Arsenal, West Ham and 7 goals against Norwich. Watford have only kept 2 clean sheets in 12 away games this season, so expect Man City to find the back of the net with ease and run up a big score. Fulham are 9/5 to beat Sheff Utd. Despite Fulham having a pretty poor season, this price looks too big on a Premiership outfit away to a League One club. Sheff Utd aren’t any great shakes at home winning only 5 of their 15 games, and a Fulham win and progress to the next round will help lift some of the doom and gloom currently hovering over them. There’s a going to be a good battle on the cards over at Spotland stadium where League 2 Rochdale host Championship club Sheffield Wednesday. Rochdale are lying 2nd in the league and are engrossed in a promotion battle and they will fancy their chances against a Wednesday club that’s down the wrong end of the table. They have come into a bit of form lately and are unbeaten in their last 7 games but they’ve only won once in 15 games on the road this season. Rochdale have won 10 of their 14 home league games and they’ve scored an average of 2 goals scored and 1 goal conceded in those games. I’m expecting some goals so taking both teams to score @ 4/5 with StanJames. Rochdale draw no bet @ 11/8 looks like it could be good value too. 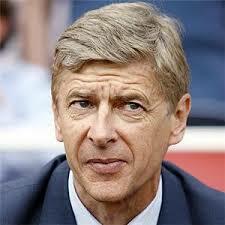 Wenger: Likely to field a weakened side. Arsenal can be a dodgy team to bet on. When you expect them to run up a big score, they generally fail to do so, so I’m taking Coventry +3 @ 20/21 in the Friday Night kick off. Wenger will more than likely rotate his squad as he concentrates on keeping his first 11 fit for the league assault, and Coventry won’t roll over and give up. Coventry have scored in their last 11 games (as have their opponents) and scored in 22 of the their last 23 games. Arsenal have won their last 6 games, but none of them have been too convincing as they’ve struggled to find the back of the net. I can’t see Arsenal losing, but 2-0/3-1 is the limit to what they’ll do in my opinion. Both teams to score could be worth a small punt at 6/4 aswel as it should be an unfamiliar back 4 for the Gunners and Coventry could get a few chances, and will need to take them if they’re to have any chance in this game.